Next week insha’allah we are starting the Diary, Wheat and Sugar Free challenge, spurred on by a kick up the backside by the Health Ranger , who said most people are too weak to give up these things. In the stage of contemplation and preparation, I found this wonderful article that goes into depth why wheat is so bad for us and thought to share with you. There are three inherent dangers in the chemistry of wheat that make it a classic destroyer of health.In this post we are going to look at just one of them, digest it and then insha’allah I’ll post the rest. Wheat contains gluten – a protein that causes inflammation, a systemic process that has harmful effects across all the organ systems in the body including the brain, heart, joints, eyes and digestive tract. As a matter of fact, inflammation does not only precede all degenerative diseases like diabetes, cancer, stroke, glaucoma, arthritis and Parkinson’s disease, but also fuels their insidious progression. A review paper in the New England Journal of Medicine listed 55 diseases that can be caused by eating gluten-containing foods. The diseases include osteoporosis, anemia, cancer, canker sores, fatigue, rheumatoid arthritis and multiple sclerosis. The paper also linked gluten to many psychiatric and neurological diseases including depression, schizophrenia, dementia, nerve damage, epilepsy and autism. The paper concluded that there are 120 or more diseases associated with eating foods that contain gluten. 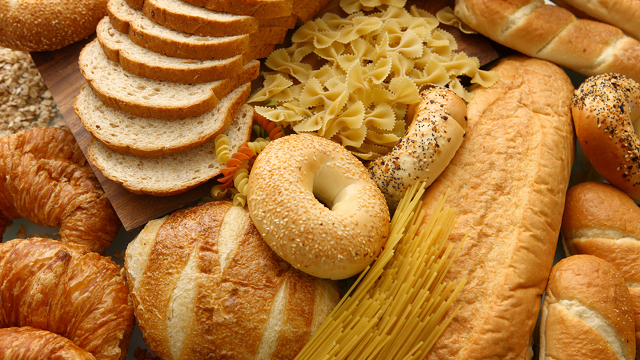 Dr. Joseph A. Murray, MD states that he is surprised how often gluten affects the brain. Another study by Dr .J. Robert Cade, MD of the University of Florida showed that people with autism and schizophrenia have high level of peptides in their urine. These peptides, according to Dr. Cade, come from casein (protein in milk and other dairy products) and gliadin and gluten in wheat, barley, oats and rye. Next Post Fried Chicken…..just once a week please but not every day!